Please select the type of membership required and add your photographs before proceeding to the checkout. 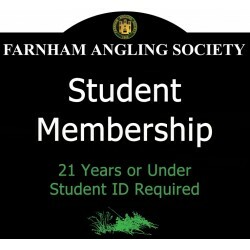 Each membership application must be completed before starting another application. 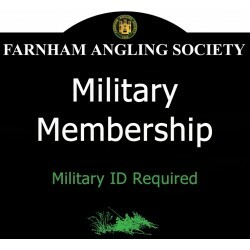 Each membership application must be entered and purchased individually, just select the membership type and add your pictures (don't forget your partner if you wish them added to your permit) and select the type of order you wish to place and the rest is easy. You will need to provide scans and/or photographs for your application, your images may be in gif/png/jpg format and should be portraits (longest edge on the left/right) and not exceed 8Mb in size. Don't forget you can add the Basingstoke Canal Angling Association permit to your membership after you leave this page. 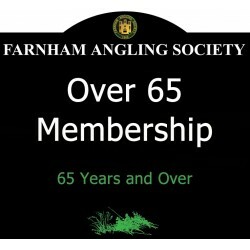 You may not access or go fishing on Farnham Angling Society’s waters until you are in possession of your new handbook. 1. Late Fee: A late fee will be applied to those renewing between 1st May to 31st May. 2. 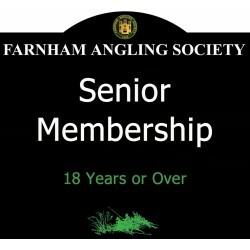 Re-Joining Fee: If you renew after 1st June then the joining fee will have to be repaid. 3. You are not entitled to fish any Society water until you have paid the appropriate fee and are in possession of a current permit. 4. 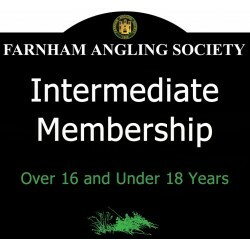 Junior members who reach the age of 16 do NOT have to pay a joining fee to become intermediates. 5. Juniors under 10 (Ten) years of age on the 16th June in the season in question will not be required to pay an annual subscription providing that they only fish the Society's waters accompanied by a senior paid up member: if the member is fishing they must both fish in the same swim and they may only fish with one rod each. 6. New members may NOT fish for Pike until they have attended a Pike Teach-in. These start in September and dates are shown in the FAS handbook. 7. All waters are closed on the 31st March each year. 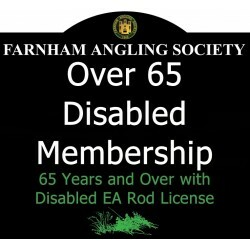 Farnham Angling Society adheres to the General Data Protection Regulation (GDPR), with respect to all information held about Members and Officers. Please click here to find out more about our Privacy and Data Protection Policy.